The Monk is one of the most attractive classes in Diablo 3 for those of you who love martial arts. This class will be capable to make awesome combos from his skills. 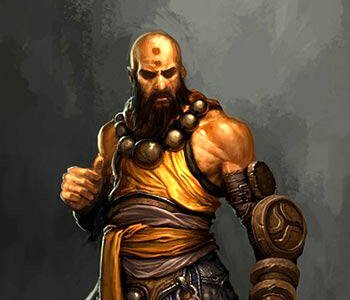 Crippling Wave, Impenetrable Defense, Exploding Palm, Seven-Sided Strike, Way of the Hundred Fists are just some of the skills that The Monk will have in his arsenal in Diablo 3. 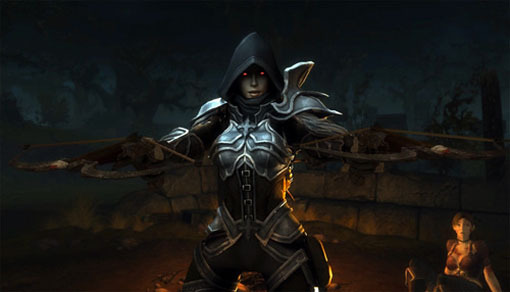 The Demon Hunter is the fifth class Blizzard announced for the upcoming Diablo 3 game. 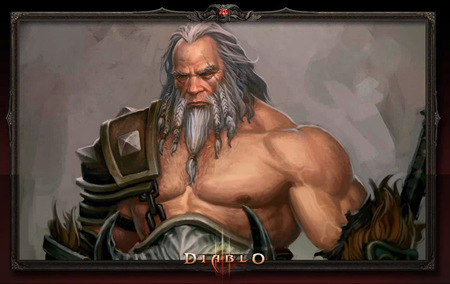 They first announced this class at BlizzCon 2010 along with a nice trailer. 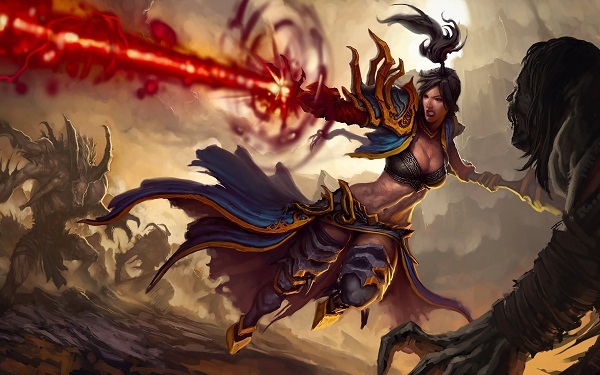 The Demon Hunter will be a ranged class that will fight with double crossbows, pistols and other ranged weapons. Some of the skills are: Fan of Knives, Molten Arrow, Grenade, Bola, Entangling Shot. 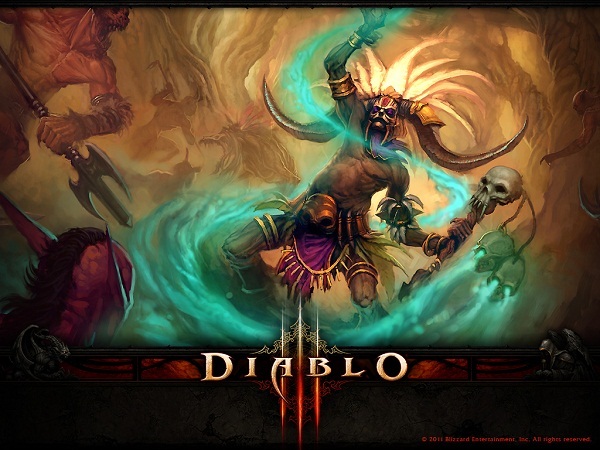 The Wizard is a class that just can't miss from any Diablo game. This will be the most ofensive class of the game but also the most fragile one just like the Sorceress from D2. Some of the skills available to the Wizzard class are: Disintegrate, Electrocute, Teleport, Magic Missle, Slow Time. The Barbarian is a Diablo classic. This class in the most powerful one in melee combat dealing great damage and having tons of hit points. Being able o fight with dual melee weapons or two handed weapons he is deadly in close range environments for any foe. Some of his skills are: Cleave, Ground Stomp, Lap, Seismic Slam, Whirlwind. The Witch Doctor will be able to summon beasts and cast all sorts of curses. 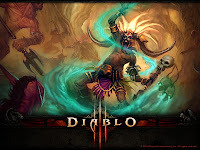 This class will replace the Necromancer from Diablo 2 having somewhat the same playstyle (summons, curses, etc). Here are some of the skills: Firebomb, Horrify, Locust Swarm, Mass Confusion, Soul Harvest.